SPRING BREAK TRIPS! Three great out-of-state trips were offered to Post students for spring break. Almost 65 students had a chance to experience life affecting trips this past spring break. The Post had a group that spent nine days in the great canyons of Utah, a group rock climbing in the California sun at Alabama Hills and a team of 22 sailing a couple of large sailboats in the San Juan islands. Students will often write up their experiences to share with students — here we present a piece written by Oscar following his sailing experience. One of the many Spring Break trips we had this year was the San Juan sailing trip. Together with 22 students and advisors, we took two sailboats out into the waters of the San Juans for a whole 5 days, sailing, cooking, and exploring a bit everyday. It was one of the most entertaining and unique experiences I’ve ever had, seeing the true beauty of the San Juans, meeting some of the most wonderful people, and learning so many new things not just about sailing, but surprisingly also several things I’d never really known about myself. The first day of our trip, we all got acquainted with each other and the sailboat we were on, and ended up sailing not too far away to Eagle Harbor. The moment we tried to go to shore however, we discovered our engine did not work, and this started a trip long effort of calling for help from our charter, fiddling with the engine constantly, and just rowing to shore occasionally. The second day, we traveled North to Sucia Island, with pretty smooth sailing, and beautiful sights, making sure to eat our daily treat of spam and hot chocolate along the way. On the third day, we decided to venture into Canada, and ended up seeing a pair of orcas just a few feet away from our boat, which definitely ended up being one of the best experiences of the whole trip. We completed our day on the stunning Jones Island, and played an intense game of ultimate frisbee. On our fourth day, we sailed to Orcas Island, where we climbed the 1000 foot Turtlehead Mountain, which offered a breathtaking view of many mountain ranges, and the San Juans themselves. We stopped by a local sawmill and farm, as well as the home of the lovely old lady, Jean, who shared with us a selection of cookies and a very well curated garden. That night, we had a closing campfire on Spencer Spit, going over everything that happened, and our best and worst moments from the trip. The last day, we sailed back to the harbor, had a delightful lunch at Safeway, and drove alllll the way back to Portland. Overall, the San Juan trip was truly an unforgettable experience that I’ll remember for a very long time. I would strongly recommend this trip next year to anyone who wants to learn something new, meet new people, improve themselves in many ways, see one of the most beautiful places in our country, and just have a great time. Every year, the Post ventures into the Canadian wilderness and sets up base camp somewhere in the Purcell Mountains – a range above Idaho in the province of British Columbia. Often times there are two separate sets of dates offered that are held back-to-back. This year, both trips were held during the same week in different locations. It was a grand time with multiple first ascents, exciting weather (a lightning storm) and many other bonding experiences. Click here to read more about one group's experience. The Post recently embarked on a climb up Mt. St. Helens, and we had an amazing time. 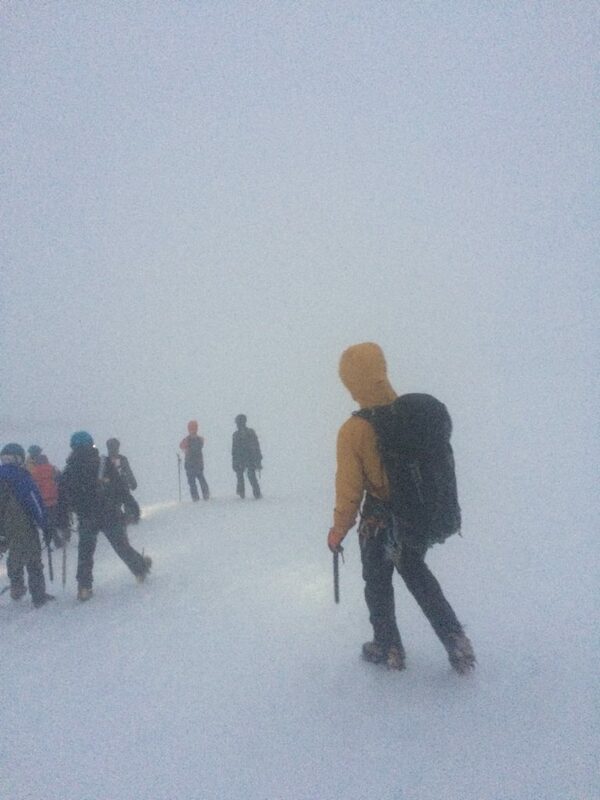 As the first climb of the summer, we are happy to announce that everyone in the group summited and had a great time! An added bonus was one of the longest glissades of all time; all the way to tree line, our group sped down the mountain, always with an ear to ear smile, making the trip down just as great as the trip up. Make this a reminder to get stoked about your climbs! We explored the classic Cooper Spur route up and over Mt. Hood in this unique route that took us from the north side and up Cooper Spur, over the summit and down the South side. 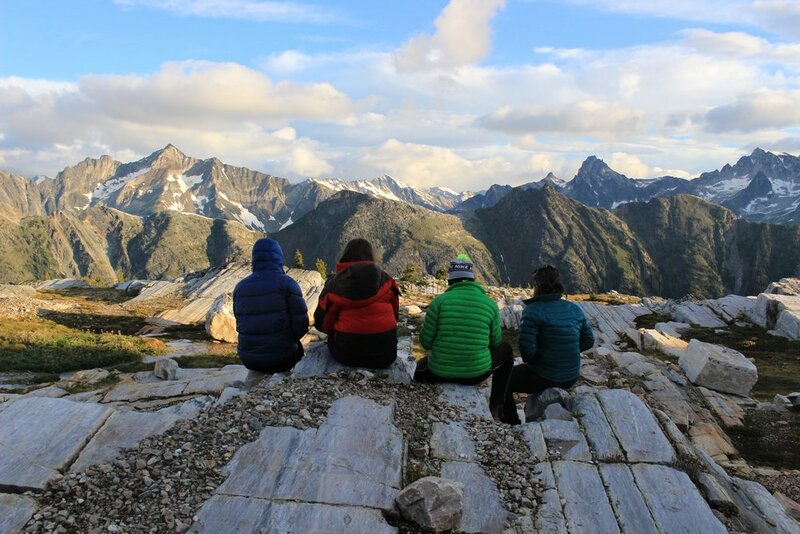 We camped above Tilly Jane on Friday night, climbed the mountain early on Saturday morning, and then descended from the summit via the more moderate Crater Rock and Palmer Snow Field in time to join up with the other Postees doing Snow School at Timberline! 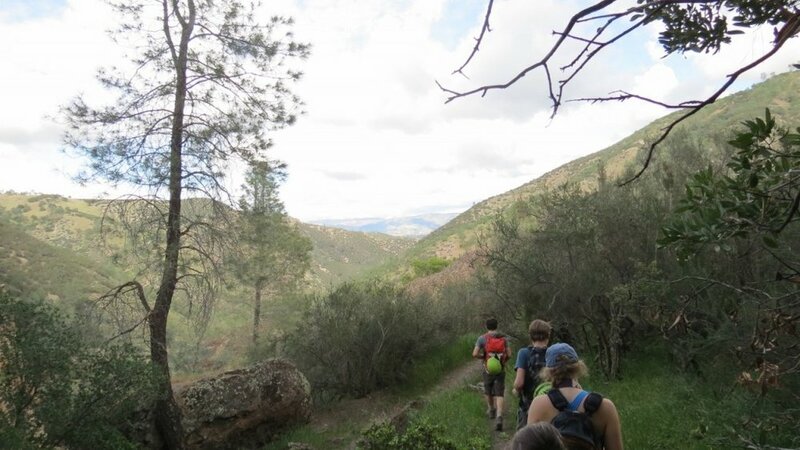 The beauty of Pinnacles National Park explains why the Post has visited it so many times. We experienced the wonderful California weather, the spectacular scenery and the great crags. Students new to rock climbing got to learn the basics of belaying, climbing and gear, while the more experienced were able to lead climb and try a few multi-pitch climbs. The Post has joined with a number of local organizations that work with underserved youth in the Portland metropolitan area to provide meaningful outdoor education and adventure experiences for teenagers. These activities and trips include day hikes, challenge activities, rock climbs, backpack trips and even mountain climbs. Take a peek at our gallery to get a taste of what experiences the Post can offer you. 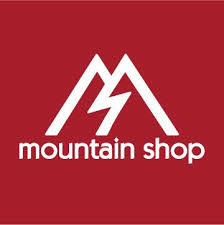 Browse mountaineering, hiking, backpacking, and rock climbing trips. Post 58 provides teenagers in the Portland area with challenging outdoor experiences that provide opportunities for personal growth, connection with the nature and a way to interact with their peers away from the stress of school and digital distractions. The organization is largely student led and focuses on development of leadership, resilience, compassion and group living skills. The Post is a community-wide organization with members from 24 schools in the Portland area. We meet once per month on the second and third Monday of each month. Please come and check us out! We always have visitors at each meeting. Our meeting space is at Lincoln High School, 1600 SW Salmon St. in Room 169 (click the map to see exact location). We meet from 7:00 p.m. to 9:00 p.m. (except in the summer when we meet outdoors). Are you interested in joining Post 58? Post 58 is currently full to capacity. To join the waitlist please email Marcell and request to be added to the waitist. This is a new website – please notify our Webmasters about any broken links or other problems.